In 2006, the L.A. Times ran an exposé by reporter Judy Pasternak on the effects of uranium mining in the Navajo homeland. The articles had a remarkable impact, inspiring congressional hearings and Superfund cleanups. But Pasternak wasn’t finished. Since then, she has crisscrossed the Navajo Reservation collecting miners’ stories, dined with uranium industry bigwigs, and dug patiently through federal archives. 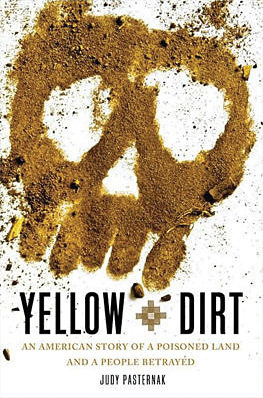 The result is Yellow Dirt: An American Story of a Poisoned Land and a People Betrayed, the first comprehensive telling of an ongoing tragedy.